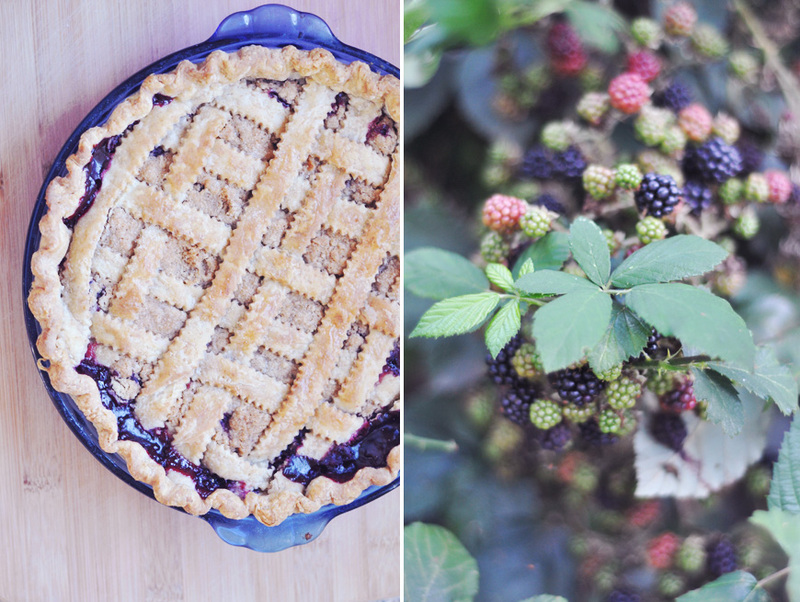 Nothing marks the end of summer better than a fresh blackberry pie. I picked these berries from wild bushes behind my house, so I wasn't sure what to expect (the wild ones tend to be more seedy). It turned out perfect. 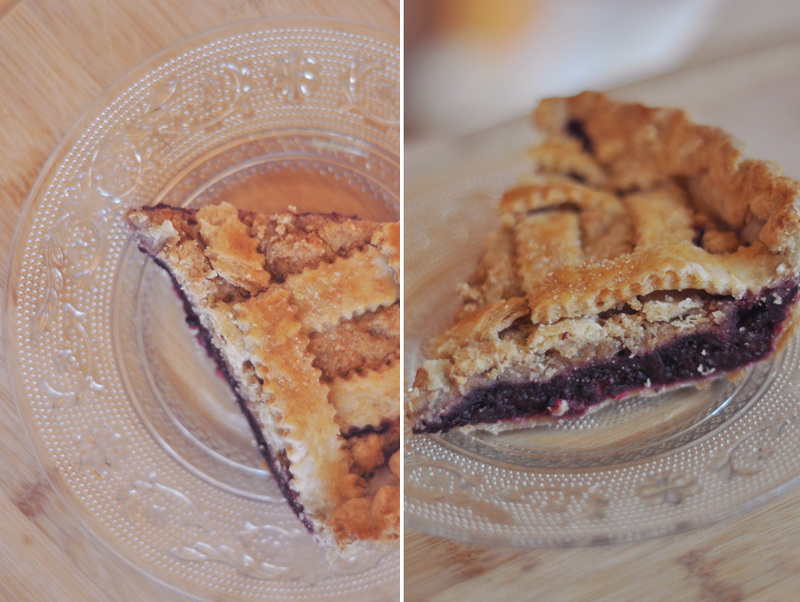 The filling was the perfect sweet/tart combination. Use this dough recipe, it makes a fully covered top and a bottom. But if you want to do a fancy lattice top, simply slice the rolled out dough and weave them together (here's a tutorial you could use). 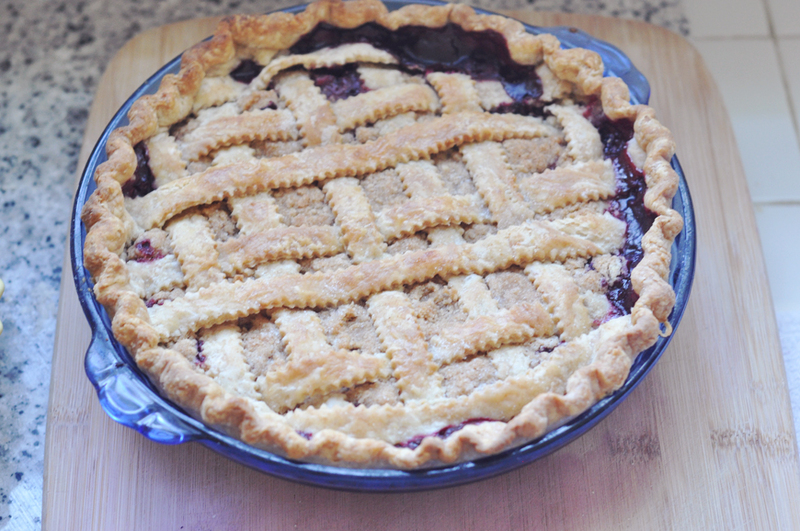 • Mix the above mentioned ingredients (except the butter) into the berries and set aside for pie dough to be ready. 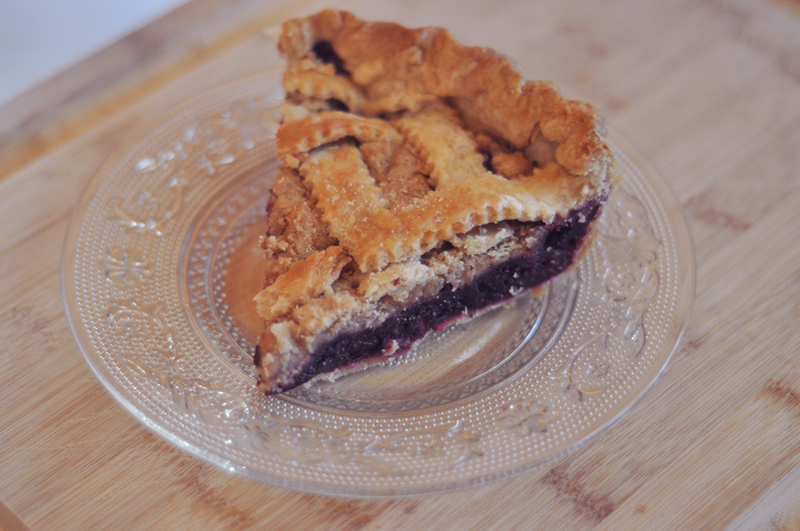 • Once filling has been placed into shell, cut the cubed butter into it and cover with lattice or regular pie dough cover. This is great! I love blackberries. I feel like the wild ones tend to have more flavor.